or send us an email: info@catdrivertraining.co.uk to discuss your individual needs and objectives. The above should give you a good overview on who we are but if you have any questions please contact me by whichever method suits you best. There are many courses to choose from, it all depends on what your objectives are. The 1/2 day Gift Experience using our cars start at £595 for a 3 hour session with 2 hours actual driving time. 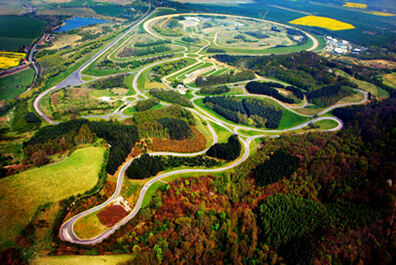 The Track Day Novice/Intermediate/Warrior course is 4 hours long with 3 hours driving time and is £700 in your car. Performance Driver & Nurburgring Preparation Courses are full days - just short of 8 hours long with 5.5 hours driving time. Both are £1200 using your car. Having taken the Performance Driver Course you are then working through the Academy Programme which is 5 days in duration. Taken consecutively or a day at a time, this programme is designed to progress your knowledge of limit handling, high speed driving and vehicle dynamics to a professional and industrial level. All prices are current and include VAT at 20%. Refreshments/lunch are included. Our training is recognised by Competition Car Insurance, Adrian Flux & Sky Insurance who all offer discounts on policies (both road and track) as a result. Our car club format http://catdrivertraining.co.uk/road/car-clubs-forums/ is enjoyed by many car clubs and we will look to offering this to 911uk members for Spring 2011. As we need the longer hours of daylight the Performance Driver 'Track' Day format runs from March to October. If you are interested in this day drop me a PM and I'll then let you know as soon as the date is proposed for the new year. Current prices start from £390 per person based on a group of 6. For anyone else that's reading this, I did one of the 'one on one' days about a month ago and took my Atom to get a better feel for the car. I got so much out of it, that I am likely to do it again fairly soon in one of my other cars because as well as learning about yourself (and I know I can learn more) I learnt so much about the car itself that it changed my whole perspective on it. If you're driving a soft top with the roof up, the storm outside better have a name. Our latest newsletter has been issued today. It is here for you to read - if you would like to receive your own personal copy in the future, drop me a PM with your email address. can you please PM with the cost of a 4 man group with one instructor. Off to Bruntingthorpe now. PM will follow this afternoon. Your top of my list, behind me and a few others !! Apologies for the delay in responding, Friday went to pot and Saturday we had an event so I've only just been able to come back to you. Well I've now sent you another one ... but possibly being a techno numpty don't understand why it's sitting in the 'outbox' rather than the 'sent box'? Hopefully you'll eventually get that as it has my recommendation for you. We run a unique and very popular group course at Millbrook for the car clubs we work with and I wondered if this would be of interest to 911uk members? Understand and practice the building blocks of over grip limit driving. It is not just “nailing” the accelerator and relying on instinct. A drift is the culmination of many core skills polarized into one extreme exercise. All explained and demonstrated by your instructor and practiced by you. If this is of interest please register your interest here and I'll look for a date to offer you in the coming months. Posted: Thu Nov 11, 2010 11:21 am Post subject: Prepared for the Winter driving to come? Our latest newsletter gives driving tips to keep you safe as well as detail on our unique skid identification & control course taking place in December and January. Updates on the successes of two of our racing clients is also included. Posted: Fri Jan 14, 2011 12:09 pm Post subject: Ice driving anyone? Newsletter issued yesterday with information on our July 'Ring trip, our ice driving adventure to Sweden, and recent blog written by our resident Expert: Chief Instructor, Colin Hoad, on driving the 'Ring in the wet for nurburgring.org. I did the one day Performance Driver Training Course last Saturday and it way exceeded my expectations. I left home at 7.00 am in the pouring rain and with a certain amount of trepidation but the weather cleared by the time I arrived at Millbrook. Next thing I was in the safety briefing and off for a leisurely drive around the parts of the grounds we would be using. From then on it became a blur and at times my brain seemed to go into meltdown. Lunch came round quickly which gave me a chance to catch my breath and then we dived into the afternoon session. Paul (instructor) gets 10/10 for his ability to explain what the aim was of each stage and how best to achieve it - having him in the seat next to me was invaluable. I learnt a lot about my car and my driving abilities. Millbrook is impressive and knowing there are no other cars around lets you concentrate 100% on your driving. Glad you had such a good day Andrew and I was watching the weather probably as much as you were. Very relieved for your peace of mind that it held off and allowed you to relax through your day. Thank you for your confidence in us and so pleased it was vindicated. Look forward to seeing you again at some point in the future.